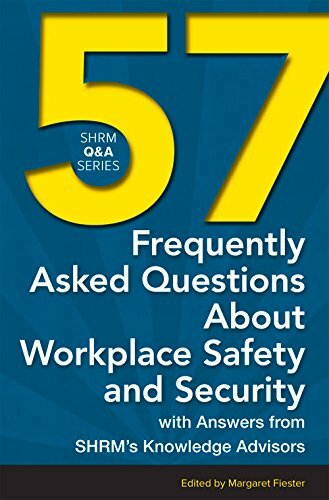 In 57 Frequently Asked Questions About Workplace Safety and Security, author Margaret Fiester has compiled the most often asked questions related to employee accidents and injuries, business continuity and disaster recovery, drug and alcohol testing, Occupational Safety and Health Administration (OSHA) rules and regulations, risk management, workplace violence, and much more. Answers to such commonly asked questions include What is the best way to plan for disasters that might affect our business? What are the essential elements of an effective safety and health program? and Must all companies follow the Fair Credit Reporting Act (FCRA) guidelines for drug tests? 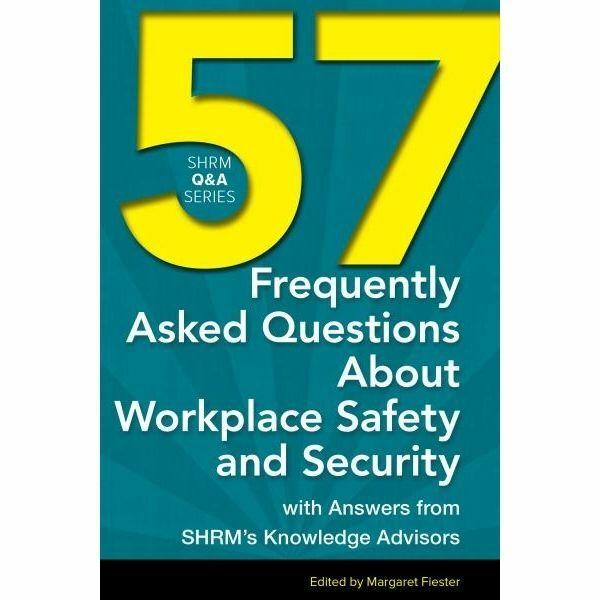 This book allows readers to benefit from the experts in the HR Knowledge Center and their insights provide a better understanding to managing human resources functions.